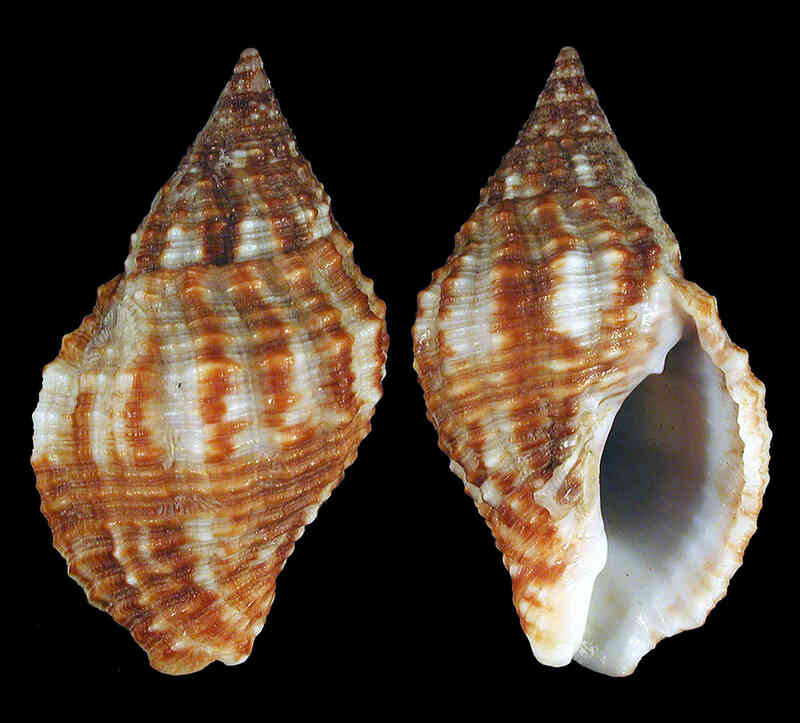 Shell size to 38 mm; shell fusiform, thick, with conical spire. Sculpture of low axial ribs crossed by numerous, weak spiral lines. Aperture oval, outer lip thick. Anterior canal short, posterior canal present. 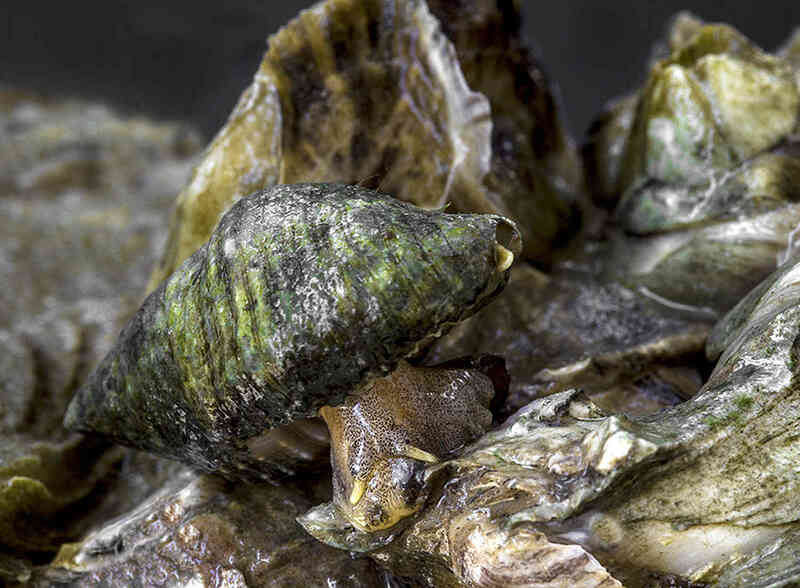 Color mottled reddish-brown and white, sometimes with axial brown bands. Egg capsules are spherical, depressed in the center, and are attached to hard surfaces by a round base. 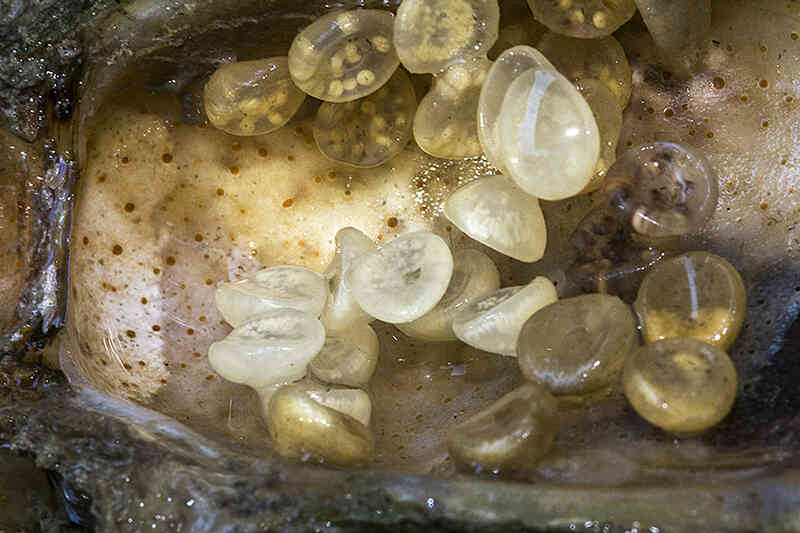 The photos of the live animal and egg cases were taken by Robert Bachand in Estero Bay.